Clothing for sale, accessories ads in Brisbane. Thank you for visiting our free advertising website Clothing for sale, accessories, Brisbane section. We provide high response free classifieds and free advertisement. Use our online free Clothing for sale, accessories classifieds placement system to find, list, offer Clothing for sale, accessories online! RAIS Industries is a wide range of second hand clothes Australian based company. We are a grade second hand clothes suppliers. One arm of RAIS Industries deals in supplying wholesale of used clothing to all over the world..
Be safe when working with a chainsaw. 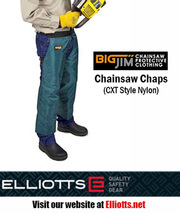 Elliotts Quality Safety Gear - Australia features a collection of Big Jim Chainsaw protective clothing and safety gear including chainsaw chaps and trousers that provides excellent protection from work-related hazards. For more information on these Chainsaw PPE products, please visit the Elliotts website at http://elliotts. dplusk is an Australian high-performance brand supporting every man and woman seeking an authentic edge in life. We embody the new and different in delivering the ultimate in forward eco-friendly clothing.. If you are on the lookout for the best women’s running gear at the best price online, you might always get it at Active Gear Depot. They offer only the highest quality fitness clothing, gear and equipment at great prices. Their customer service is excellent, too. Visit Us:-https://activegeardepot. 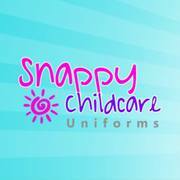 Affordable staff uniforms, school uniforms and handmade items for fundraising now available for custom order at www.childcareuniforms.com.au, reputable uniform supplier based in Queensland, Australia. Childcare Uniforms allows you to do the following on their website: 1. 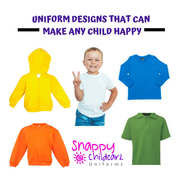 Order school uniforms, staff uniforms or school fundraising merchandise. We can build custom media wall to any size & any design with printed.Now easily can place your product with us! You can get more quickly! 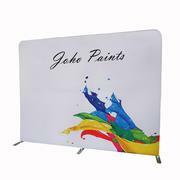 https://www.backdropsource.com.au/products/portable-backdrop-media-wall-with-curved-stretched-fabric-ziplock-single-double-side-prints. Active Gear Depot is one of the best camping gear stores for you. They have a great collection of fitness, sports and camping gear available at amazing prices. Their gear and accessories are of exceptional quality, so you get the product at the best price. Click Here:-https://activegeardepot.com/. Childcare staff uniforms serve a number of purpose. Aside from increasing your centre's professional image, it's a subtle yet effective way of spreading the world about your childcare services. If you're looking for affordable staff uniforms you can customise with your centre's logo and slogan, feel free to browse www. The Gift Factory is an Australian owned & operated producer of high quality personalised gifts for all occasions. We offer a range of traditionally made, hand crafted Oak Barrels which are ideal adding flavour & Aroma to your favourite wine or liquor. We also produce personalised Coffee barrels, which make a unique gift for any Coffee enthusiast. Check and buy best christma scenes and backdrops at backdropsources in australia. Today can check and buy our products..
Australias coolest range of alternative, punk, gothic, tattoo inspired, geeky, metal & fun clothing and accessories for kids 0-10 years. 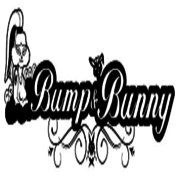 Clothing, accessories, room dcor, toys and so much more at www.bumpandbunny.com Phone: 04 1137 6242 Email: lisa@bumpandbunny.com Address: Loganholme QLD 4129. Active Gear Depot is one of the best camping gear stores for you. They have a great collection of fitness, sports and camping gear available at amazing prices. Their gear and accessories are of exceptional quality, so you get the product at the best price. Visit Website:-https://activegeardepot. Act Happy Clothing stock children clothes and pyjamas that range from size 0000 to 16. Our summer clothing range is designed to fit the standard sizes, manufactured for comfortable, and are made to last and look stylish.. 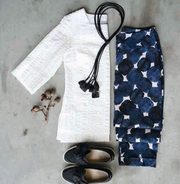 Looking for ethical clothing brands, you can visit dogstar, one of the best brands for Slow Fashion Australia clothing for women. You can purchase these environment friendly clothes online at: https://www.dogstar.com.au/blog/SlowFashion/. Australian online maternity brand, specialises in maternity and nursing dresses for special occasions such as baby showers, photoshoots and events. Lets dress the bump in feminine florals, gorgeous prints and fabrics! 2-day shipping, easy returns. 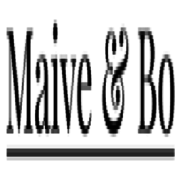 Website: https://www.maiveandbo.com.au/ Phone: 04 6637 5725 Email: orders@maiveandbo. 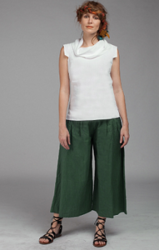 Looking for best clothing brand of Slow Fashion Australia, contact dogstar. You can shop environment friendly clothing online from here. For more details visit at: https://www.dogstar.com.au/blog/SlowFashion/. Man things is the best place to buy awesome guy stuff, from big boys toys to stylish watches, we have the high end of the spectrum for extraordinary blokes. Find out the best products from the leading online store with free shipping. Don't waste your money buying cheap products from other websites. Are you looking forthe Affordable Plus Size Women's Polo Shirts Online? Then your search ends here. We have fifteen colors to choose from and a plus size range that also covers every body type. To get more info please visit our website or contact us at 07 55475838..
Sew Master Fashions - offers professional clothing alterations, wedding dressmaking, formal wear and casual dresses alterations in Brisbane city for men and women..
Searching for Queensland State of origin jersey & merchandise? Visit our website today to buy premium quality product at affordable price. We have largest collection available online so that you can buy your favourite apparel. Visit our website today and subscribe today to enjoy our special promotions ! Contact Us:- Company Name:- StateoforiginMerchendise Business Mail ID:- sales@stateoforigin. 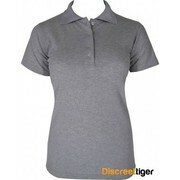 Shop the Best Girls Plus Size Polo Shirts at Discreet tiger. All our shirts are made with the highest quality materials and are available at affordable prices. please check out our website to find more products at https://discreettiger.com.au/womens-polo-shirts. Shop for Japanese Designer Clothing Online from dogstar, famous for Japanese Style Clothing in Australia. We have unique collection of natural clothing in Australia made by famous designer Masayo Yasuki. To buy them visit us at: http://www.dogstar.com.au/. Shop for Fishnet Stockings and Hosiery Online at Discreet tiger. We have wide range of Stockings in different sizes, colors and styles at affordable price. To know more info please find us on https://discreettiger.com.au/stockings. Are you finding it difficult to find beauty uniforms in Brisbane? Uniform Store has it for you. We deal in a range of uniforms and also provide free quote. To obtain your free quote, go to the "Get A quote" option in the top of the page and follow the given steps. Address: 105 Main Street, Bacchus Marsh, Victoria, 3340, Australia Phone no: 03 5367 6100 Email id: sales@uniformstore. Find the Best Deals onRetro and Rockabilly Clothing and shoes online to match all occasions. We have the world's best collection of rockabilly dresses - no doubt!. 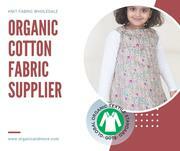 Organic and More is one of the leading fabric manufacturers in India, with an extensive experience in knitting and weaving 100% organic, GOTS certified fabrics. As a trustworthy organic cotton fabric supplier, Organic and More subjects the manufactured fabrics to a number of quality checks to ensure the final product meets the customer’s requirements. Buy Charming Black Corsets at Discreet Tiger. This corsets is designed to create a wonderful hourglass figure, great for women wedding party, fashion show or any other themed occasion. Check our website to more info about our products at https://discreettiger.com.au/. Australia free ads for Clothing for sale, accessories, Brisbane, Clothing for sale, accessories free ads Brisbane, Clothing for sale, accessories for sale Brisbane, Clothing for sale, accessories to buy in Brisbane. Find on this page free classifieds for Clothing for sale, accessories in Brisbane. This listing includes classifieds for sale and to buy in Brisbane. FREEADSAustralia Brisbane offers you a platform to post free advertisements or classifieds for Clothing for sale, accessories in Brisbane. FREEADSAustralia helps you search, find buy, sell, rent or hire in various categories like apartments, goods for sale, local services, cars , jobs and many more in Brisbane. If you posted an advertisement in category Clothing for sale, accessories of FREEADSAustralia Brisbane before please use Edit my ads button to change or cancel your ad. Clothing for sale, accessories Brisbane ads Brisbane, Clothing for sale, accessories classifieds Brisbane, Clothing for sale, accessories free ads Brisbane, ads for sale Brisbane, ads to buy Brisbane, FREEADSAustralia. Find here ads for sale, to buy and rent in Brisbane. Goods for sale in Brisbane, vehicles for sale in Brisbane, Brisbane real estate for sale, Brisbane property for sale, property for rent in Brisbane, business ads in Brisbane, Brisbane business classifieds, services in Brisbane, Brisbane services ads, jobs in Brisbane, pets for sale in Brisbane, Brisbane dating, Brisbane cars for sale.